One of the worst mistakes I have ever made was letting my manager-at-the-time convince me I was a poor communicator. Quality communication is hard, certainly1, and we could all be better at it. But I’d been in the workforce for some time at this point, and my communication skills had never been criticized before2. At first, I found it a little surprising, but… maybe he was right? He even gave me a book, claiming that he’d given it to many people, and it had helped them with their poor communication skills. Not wanting to rock the boat—I had only recently started reporting to him—I decided to really examine this whole “You say stuff that sense doesn’t make”-criticism I was receiving3: I really tried to pay attention what I said and how I said it. I proofread things three or four times4. I rehearsed conversations in my head endlessly, right up to the point before they were to take place. 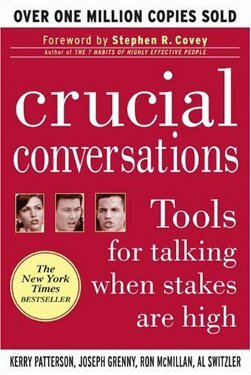 I read about these “crucial conversations” I was having, how I was clearly and obviously (I was told) screwing them up, and how I could fix it. I didn’t end up working with him very long: it turns out you can’t really work with someone you can’t communicate with. an “issue” with his workplace communication skills. I spent a ton of time reflecting on how I could have done better. I reviewed so many interactions in my head, they all started to blur together. But no matter what, my lacking communication skills were to blame, right? After letting it simmer for a few months, I came to an interesting conclusion: he was totally, utterly, and completely wrong. The only thing more surprising than the number of confirmations of these experiences was the viscerally painful descriptions: dragging meetings off point, taking thirty minutes to say something that could have been said in two, or just plain not grokking the words that were coming out of people’s mouths. It was a real wakeup call for me. Clearly, not all criticism is bad. But when someone feels it’s their place to criticize something so fundamental to who and what you are as your ability to string words into a coherent sentence or your style of putting words on a page6, that authority had better be derived from something more than the workplace-equivalent of a military dictator overthrowing some small South American country. And when someone does give you “constructive criticism” or “helpful feedback” or downright orders you to change and shows you the proverbial stick they’ll beat you with until you do, that advice had better pass your personal smell test before you take it to heart. If it doesn’t, beware. Only if you’re lucky, like I was, do you eventually realize that smell is your soul rotting. 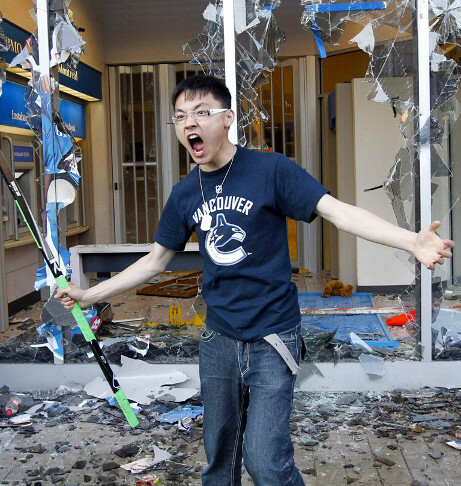 Ignore that acrid odor at your own peril. I’ve gotten this leveled at me too, but even after time it never passes the smell test. I think there’s plenty of things I could be nailed on, but the times I’ve been accused of not communicating well it’s always been a screen for something else. Sometimes even a strong suggestion that by “communicating more effectively” they mean what you’d probably call radio silence. I see two ways to look at it. When your boss says you have a communication problem, he’s right. But that doesn’t mean the error is on your side of the link. The two are frequently seen in each other’s company. Sometimes even a strong suggestion that by “communicating more effectively” they mean what you’d probably call radio silence. It’s funny you mention that; now that I think about it, one of the other complaints was that I had the audacity to file bugs in the bug tracking system without getting the “messaging” approved first. Oh that’s all kinds of fail.